The objective of this book is to give you not only an update on the latest functions, features, and benefits but also to provide you with valuable information from key members of the IBM DB2 for z/OS community whom you can contact. 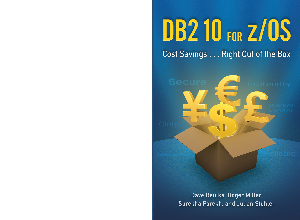 An introduction to DB2 10 by Roger Miller, highlighting the main features and functions and their associated business benefits, such as real CPU savings. A business value white paper by Julian Stuhler, independent DB2 consultant. Julian and I invited several beta clients to share not only their DB2 10 experiences but also perceived and actual business benefits. The last section of the book is another valuable paper written by Dave Beulke, who is also an independent consultant. This paper demonstrates how DB2 10 is a tremendous step forward in database technology because of its improvements in performance, scalability, availability, and security and application integration. Dave's paper focuses on performance enhancements.